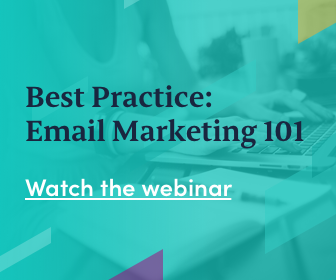 Every year, there are certain days that online retailers can embrace to get extra visitors and, hopefully, some new buyers. But if you want to spice up your marketing game, you need to know which days can attract these extra visitors. That’s why we’ve compiled this handy list of important dates for online retailers. Blue Monday is a day in January that is said to be the most depressing day of the year. There’s no real science behind this statement, but it’s become one of these days online marketeers don’t want to ignore. Blue Monday is a perfect day to give out some discount codes to visitors, to help cheer them up and get through the day. May Day is usually celebrated on the first day of May. This is also the day that some countries in Europe celebrate International Workers’ Day and sometimes people refer to this day as May Day, but they are two different things. May Day in Europe is mostly about dancing, singing and eating cake. In some countries, such as the UK, retailers offer special May Day deals to their customers. Mother’s Day is celebrated in March in Ireland and the United Kingdom, while most other countries in Europe celebrate their mother on the second Sunday of May. Please check Wikipedia to see when Mother’s Day is celebrated in your desired country. Nowadays, Mother’s Day is one of the biggest holidays of the year for online retailers. Billions of euros are spent every year and the online share is growing fast. Father’s Day is all about celebrating the father of the family. This day is celebrated on the third Sunday of June in most countries in Europe, but please check Wikipedia to see when Father’s Day takes place in the country of your interest. Father’s Day could be especially worth the effort for online retailers that are active in the DIY sector. Halloween is a holiday that’s especially popular in the US, Canada, Ireland and the United Kingdom. But more and more European countries are celebrating this day, which started as a Celtic harvest festival. Nowadays, Halloween is best known for its costumes, pranks, scary stories and popular horror movies. Pre-made costumes, decorations and special candy fly off the shelves in October. Singles Day started in China, when four students decided to celebrate their single status. They did this on 11-11, because of the four ones. After the major Chinese online store Alibaba informally adopted this day, things really took off. In 2016 for example, the ecommerce company managed to earn almost 14 billion euros during this day. Now it’s also being celebrated more often in Europe. These days have their origin in the US, but have become very popular in Europe in recent years. Especially, Black Friday and Cyber Monday are hits among both customers and online retailers. Data from CJ Affiliate shows that Black Friday in Europe in 2017 showed revenue increasing by over 50 percent, orders by one-third and average order value by 15 percent. In some countries in Europe, people celebrate Saint Nicholas Day, named after the Bishop of Myra who became a historic Christian saint. In the Netherlands, ‘Sinterklaas’ is very popular and many children receive gifts on 5 December. In Belgium, they celebrate this day on the morning of 6 December. In Central Europe too, Saint Nicholas gives gifts to children who have shown good behavior. Christmas is probably the best-known holiday of the year. On 25 December each year, people all around the globe commemorate the birth of Jesus Christ. But it’s also a day full of gift-giving, family gatherings, decorating trees and special meals. Almost all countries in Europe commemorate the anniversary of its independence or statehood and/or the liberation of the country. In some countries, Independence Day or Liberation Day means people don’t have to go to work that day. If you’re an online retailer and you want to do something with this day in terms of discounts, one-time offers or special promotions, please have a look at this list of national Independence Days and this overview of which country celebrates Liberation Day and when. Are you also curious about which events take place in Europe? Then please have a look at our event calendar. 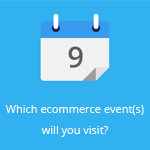 This handy overview shows you which interesting ecommerce events you can visit in Europe this or next year.